Sometimes a good photo is not dependent on the camera. I think these images owe their beauty to the light. 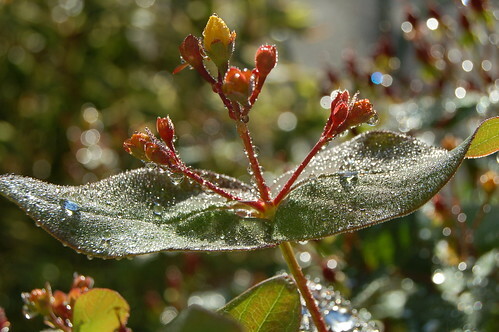 The beautiful morning light reflecting in the dew that is still left after the cold night. They are some of my favorite photos this year. But of course, a good photo can not be taken if the photographer is not wide awake with her eyes on the world. You have to look. Open your eyes. Open your mind. Breath in, breath out. The beauty is in the eye of the beholder? Yes but also the beauty is everywhere if you allow it to. If you want to see it and don’t hide yourself from the world. 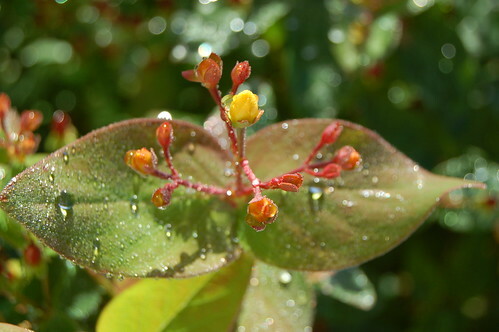 The three first photos portrays a Hypericum hircinum bush. Called Lukthypernikum in Swedish. My camera is a Nikon D50 with a dirty lens. I’m 31 years old and have my cat in a leash. 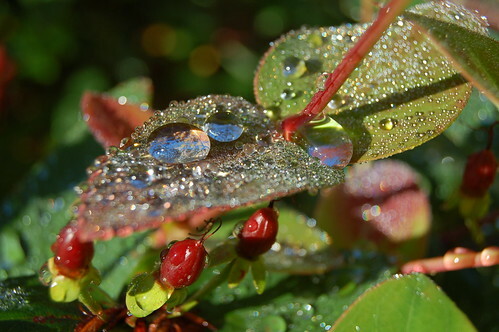 This entry was posted in Photography and tagged garden, seasons. Bookmark the permalink. Beautiful photos, thanks for sharing them with us. Big fan of your blog, always an interesting read. Wow! Those are beautiful photos. Makes you think twice about the things we tend to take for granted in our busy daily lives. By the way, the comment you left recently is so true. Those are BEAUTIFUL photos. 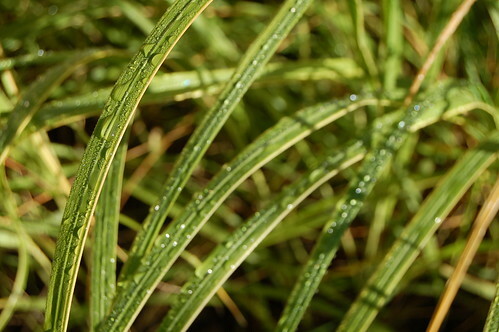 The dew is amazing looking! Gud vilka fina bilder, vad duktig du ?r Hanna! these are gorgeous shots! just catching up on your posts- hope your new home is as enriching as your old one- good luck in the move!!! Magical pictures. I love that your cat is on a leash. I wish I had the guts to do the same with mine. So peaceful in addition to being beautiful. I love the colors in the first one. 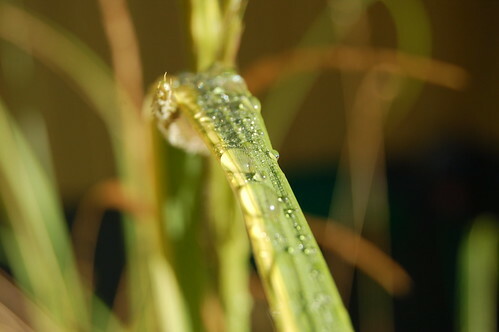 I especially like the first, close-up one…. seeing is believing in miracles and the world! The photos are absolutely gorgeous! Breathtaking! These photos are just beautiful: they really capture that crisp freshness of a brand new morning. Your photographs and collages are exquisitely beautiful! These are amazing photos Hanna. The first one looks like a jewelled butterfly or winged insect,whose wings are encrusted with coloured jewels, the colours are so lovely.